Woodward Admits No Evidence Of Trump-Russia Collusion: "I Looked For It Hard For 2 Years"
Bob Woodward’s book Fear has been a sensation in many respects. But one aspect has barely been mentioned. After two years of exhaustive research for his book, Woodward says that he has found no evidence of collusion between Putin’s government and Donald Trump’s campaign in 2016. Zilch, nada, zero. And Woodward strained very hard looking for it. This largely ignored blockbuster admission came in a radio interview with Hugh Hewitt reported by Real Clear Politics here, where a recording of the full interview can also be found. 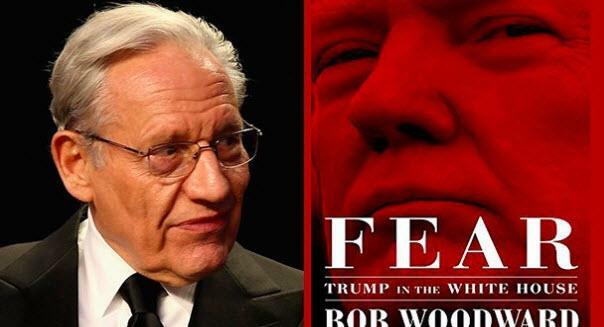 “In an interview with Hugh Hewitt on Friday, Bob Woodward said that in his two years of investigating for his new book, ‘Fear,’ he found no evidence of collusion or espionage between Trump and Russia. Woodward said he looked for it ‘hard’ and yet turned up nothing. “’Did you, Bob Woodward, hear anything in your research in your interviews that sounded like espionage or collusion?’ Hugh Hewitt asked Woodward.